大平修三 (1930-1998) Nihon Ki-in 9 dan, dogged by ill-health. Ferocious in the middle game. 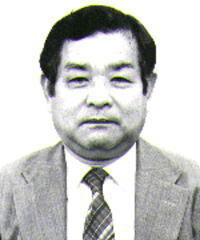 Winner of the Nihon Ki-in Championship five times (from 1966 to 1969 and in 1972). He also won the Hayago Senshuken in 1977, and the Prime Minister's Cup in 1960. He unsuccessfully challenged for the Nihon Kiin Daiichi-i in 1964, 1965 and 1968, the NHK Cup in 1975, as well as the Tengen in 1975. Author of Appreciating Famous Games(1973) and his autobiography. Maeda Ryoji was his pupil.